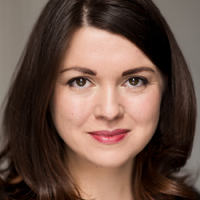 Samantha Marsden was a freelance drama teacher for 10 years, working for theatre companies, youth theatres and state, private and special schools. She is now a full-time writer, writing drama teaching resources and fiction for young adults. Her new book, 100 Acting Exercises for 8 - 18 Year Olds, is being published by Bloomsbury (2019). She is also the author of Teach Drama: How to Make a Living as a Freelance Drama Teacher. What should I do if my child wants to be a performer? How can an actor tell if a script is any good?